Equipped with the most powerful gripping suction cups on the underside to hold the pillow firmly in place on any smooth surfaces, without slipping away. This item is waterproof bathtub pillow, convenient and comfortable, bring you a fully relaxing and luxurious bathing experience. Quickly-drying and easy to clean. - Size: Approx. 23 x 18 x 10cm. - Made of soft and smooth PU foam, bring you a good quality of the bath. - With 3 suction cups, keep the pillow not shift away and let you enjoy your bath more safely. - Proper thickness make you have a comfortable head rest in bathtub. Made of soft material, firm support by the durable PU foam, Waterproof, Anti-Bacterial,odor free to be used in tubs and spa safely. 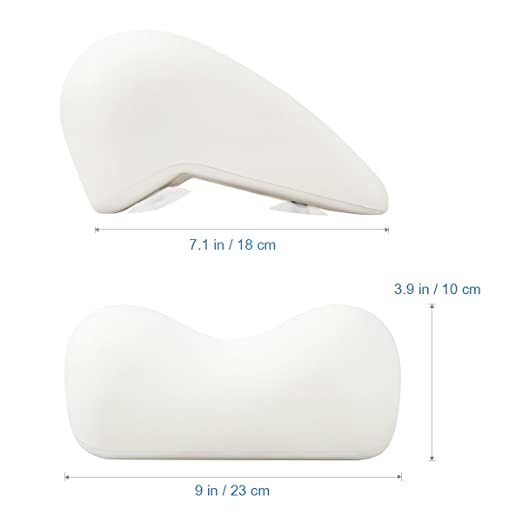 Effortless fixation by three extra large and strong suction cups fixing at the head end of bathtub steadily, the pillow won't slide off in use. Eco-friendly material can be reusable,smooth surface can allows water to flow through the washable bath pillow and wiped clean easily. 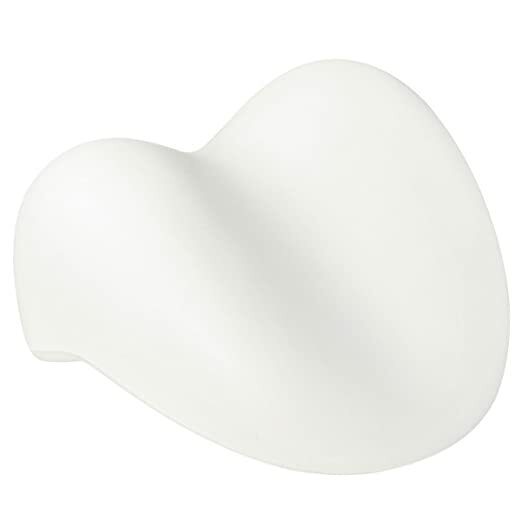 Spa pillow can be held in any surface place.The hinge is adaptable to most shape tub. DURABLE MATERIAL - Made of soft material, firm support by the durable PU foam, Waterproof, Anti-Bacterial,odor free to be used in tubs and spa safely. 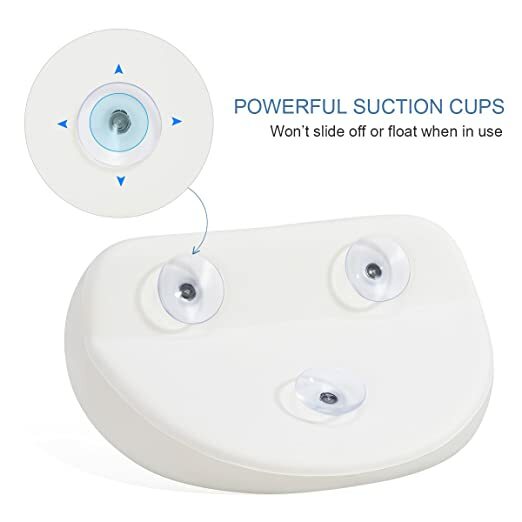 NON SLIP - Effortless fixation by 3 extra large and strong suction cups fixing at the head end of bathtub steadily, the pillow won't slide off in use. 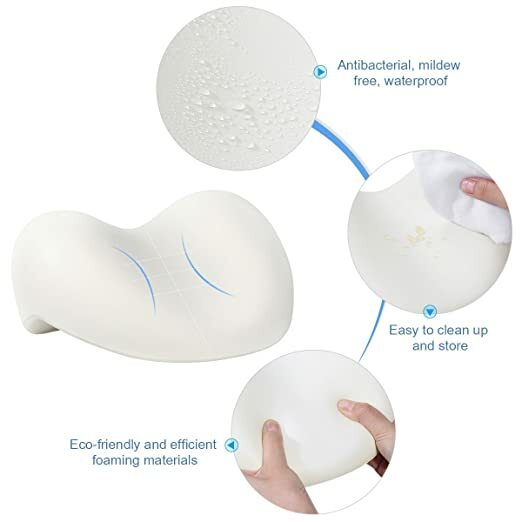 EASY TO CLEAN - Eco-friendly material can be reusable,smooth surface can allows water to flow through the washable bath pillow and wiped clean easily. FIT MOST TUB - Spa pillow can be held in any surface place.The hinge is adaptable to most shape tub. Copyright © 2017. rosenice All rights reserved.